Though the group has painstakingly, repeatedly and honestly presented solid arguments for deferring this burn, to this day, they have received no responses from DELWP or the Minister that seriously address the issues raised. What’s worse, DELWP has now publicly misrepresented the group’s position, stating that the group has an agreement with DELWP as to how the burn should proceed – this is false. The group is calling on the Victorian Premier to intervene in this issue, to re-establish the community’s trust in Government consultation and to show a commitment to managing natural resources for current and future generations. What has led to this point? 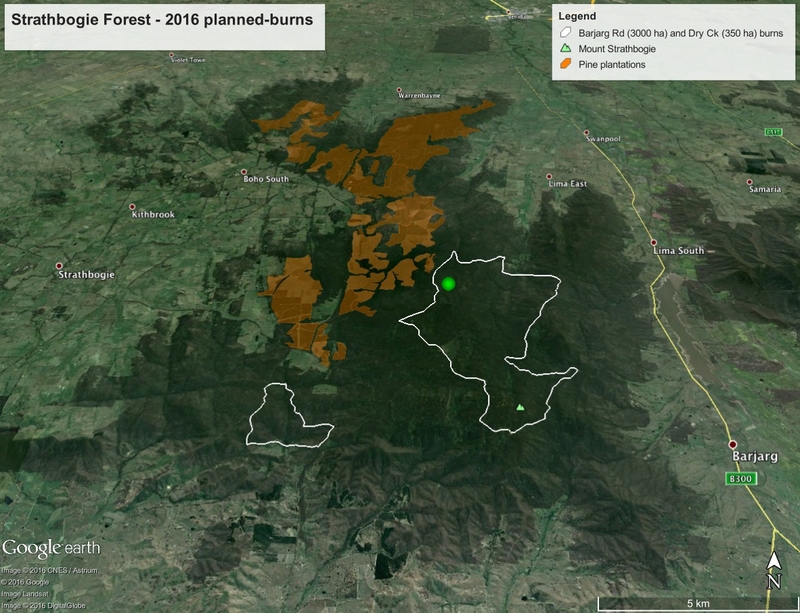 DELWP have publicly claimed that they have an agreement with the SSFG re this season’s planned burns (Vic. Country Hour, ABC Radio) –this is completely false. Whilst we acknowledge the need for strategic planned burns, we have consistently opposed this 30 square kilometre burn from the outset and have never entered into any agreements. To suggest that we have, is to suggest that we will be partly responsible for the consequences of the burn. DELWP have repeatedly, and without basis, claimed that there are ‘huge numbers of people’ urging them to conduct this burn. As members of the local communities most affected by these planned burns, we reject this assertion and would say that most local people in the community value these forests and do not want to see them burnt for the purpose of meeting a target. Sound bushfire protection requires collaboration and respect from all parties involved (agencies and community). That means working together to identify the major risks and the best strategies for dealing with those risks. Misinformation and delay tactics demonstrate that DELWP is not interested in collaboration or community concern. The planned burn flies in the face of Minister Neville’s stated commitment to helping the environment and nature in her newly released Biodiversity Strategy. The burn risks killing hundreds of individuals of the Threatened Greater Glider, as well as scores of Koalas. Based on all of these State Government misrepresentations and deceptions relating to the proposed burn, our local communities, among them many CFA volunteers, do not believe that we are being respected and valued as regional Victorians. 2. An independent assessment of appropriate future use of these important native forests. Members of the Strathbogie Sustainable Forests Group inspect part of the area DELWP intend to burn. Barjarg Rd and Dry Creek planned burns (white outlines) – a vast area to be burnt in a single year. 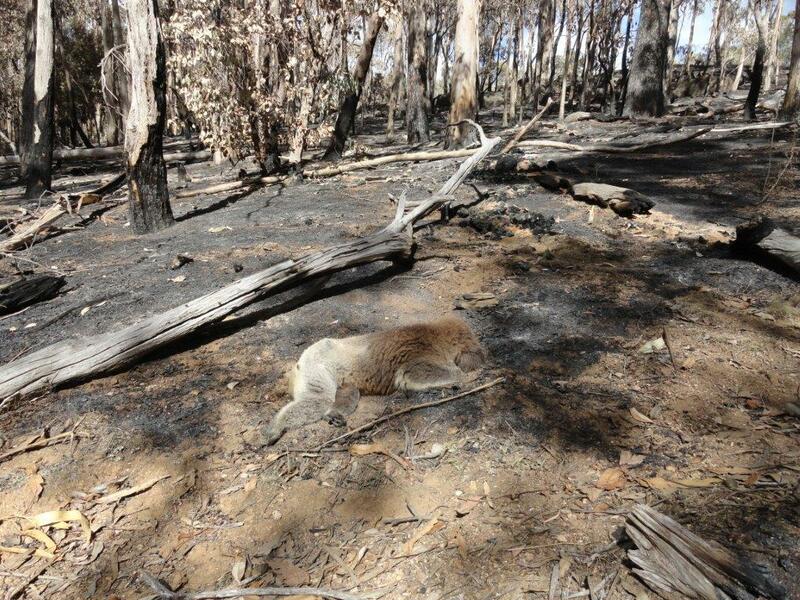 One of the hundreds of wildlife fatalities from last year’s 520 ha Tames Rd burn. 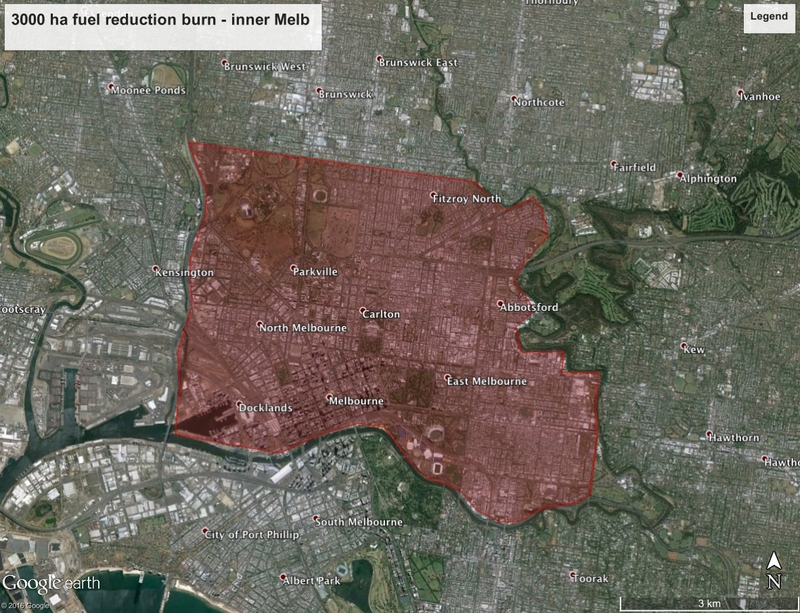 Here’s what the 30 square kilometer Strathbogie Forest burn would cover in inner Melbourne – pretty big aye.